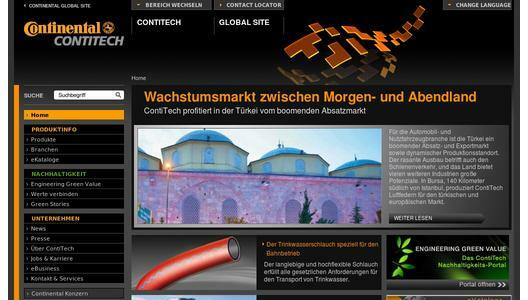 Printing blanket manufacturer ContiTech is expanding its involvement in the flexo printing sector. At the drupa 2012 print media trade show (May 3-16 in Düsseldorf), the company is exhibiting at booth 6A 77 in hall 6, where it is showing off the latest flexographic printing plates in the CONTI® Laserline. Like all other printing blankets from ContiTech, these are made exclusively in Germany. 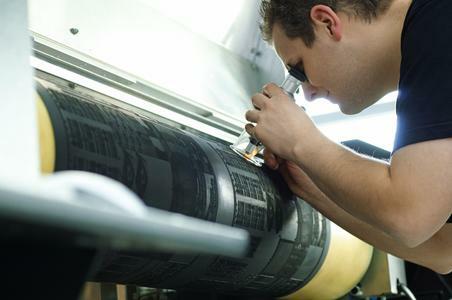 "ContiTech benefits from its wide-ranging competence in the offset printing business. It has allowed the company to develop a brand-new industrial process for manufacturing flexo printing plates for flexible packaging as roll goods. 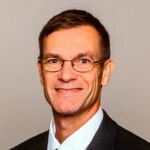 We are the only supplier to offer a solvent-free solution to this particular problem," explains Armin Senne, flexo printing business manager at ContiTech Elastomer Coatings. 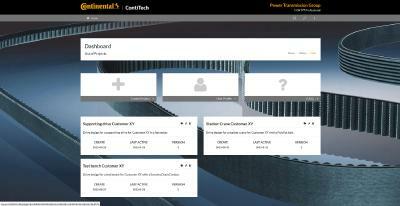 "This gives ContiTech a crucial market edge - not just when it comes to eco-friendliness," he adds. "ContiTech is able to meet the product thickness and product order size the customer demands while ensuring an outstanding price-performance ratio." With its four flexographic printing plates - CONTI® Laserline CSX and CSC, CONTI® Laserline CCX for direct printing on corrugated board, and the CONTI® Laserline CSL coating plate - ContiTech Elastomer Coatings can service the needs of a broad market. 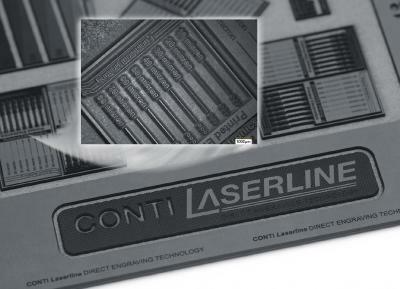 Unlike the CONTI® Laserline CSX, the CONTI® Laserline CSC printing plate has an integrated compressible layer. Mounting is thus possible without any need for expensive and foam-backed adhesive tape. Both plates have an EPDM cover layer that can engraved directly. In addition, both variants can be used with all standard ink systems, including UV and EB inks without any swelling. This opens up a completely new range of applications. ContiTech has developed the CONTI® Laserline CCX with removable cover layer specifically for direct printing on corrugated board. The integrated compressible layer helps to minimize any washboard effect on all the most commonly used corrugated board types. Designed to ensure efficient production of coating formats, the CONTI® Laserline CSL coating plate has an integrated removable layer optimized for application of the coating. This coating plate is suitable for all current coating systems, including UV ink systems. Senne makes a point of noting that "long service life and minimal wear gives all CONTI® Laserline flexographic printing plates a significantly more sustainable quality than many peer products." The ContiTech division numbers among the leading suppliers of a host of technical elastomer products in the non-tire rubber sector and is a specialist for rubber technology in the non-tire rubber sector. The division develops and produces functional parts, components and systems for the automotive industry and other important industries. ContiTech has a workforce of approximately 27,500 employees. In 2011, it achieved sales of approximately €3.6 billion.